The AC2500 Series is engineered with CDMA or GSM technology to deliver the high reliability needed to help streamline operations, reduce costs associated with service and maintenance of vehicles, improve driver safety and customer response. It is designed as a universal solution for 24/7 visibility and continuous-tracking. Optional features include Driver Identification, Garmin Integration, Starter Disable and Remote Door Unlock. 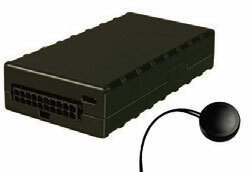 The AC2500 Series meets the needs of almost any GPS Fleet Vehicle Tracking requirement. Click on any of the features listed below to see other products with that feature. Click on any of the alert features listed below to see other products with that feature. Click on any of the mapping features listed below to see other products with that feature.